Updating the 4G Blacklist, the new 5G Firewall is now open for beta testing. The new code is better than ever, providing wider protection with less code and fewer false positives. I’ve had much success with this new firewall, but more testing is needed to ensure maximum compatibility and minimal issues. The 5G Firewall is the result of many months of meticulous request monitoring, analyses, and testing. With this code, my goal is an easy, plug-n-play security firewall that blocks the maximum volume of malicious requests with a minimum number of false positives. It’s also built with compatibility in mind. The 5G Firewall is fine-tuned3 to WordPress, but the directives are designed for general use and should help any site conserve bandwidth and server resources while protecting against malicious activity. Only test this code if you are familiar with .htaccess and comfortable with diagnosing and resolving potential issues. 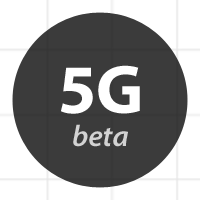 The 5G is currently running at Perishable Press and everything seems to be working great. But there are so many different configurations that beta testing is needed to help ensure maximum compatibility. Please leave any issues/resolutions in the comments section (remember to wrap code in <code> tags). The 5G Firewall is provided “as-is”, with the intention of helping site administrators protect their sites against bad requests and other malicious activity. The code is open and free to use and modify only if proper attribution is included (e.g., “5G FIREWALL from PerishablePress.com”. By using this code you assume all risk & responsibility for anything that happens, whether good or bad. In short, use wisely, test thoroughly, don’t sue me. To learn more about the theory and development of the 5G Firewall, check out my article on constructing the 4G Blacklist. A search for “blacklist” in the sidebar should also return much related information. Possibility to make a nginx version? Any update on an NginX version? Still collecting resources, researching, and testing.. if you know of anything useful that’s not appearing in the first few pages of Google let me know. Also are you able to help beta-test? This is a great resource. Thanks for your work on it! One question I have is should I use both the 4G and 5G blacklist together or is that not recommended.